Book lovers will enjoy reading this post from author Joan Reeves about how our favorite books (or is the readers?) change as we get older. Rereading is a special treat when you look at it this way. 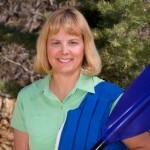 If you didn’t catch Beth Groundwater’s post, “Feeling Uncomfortable,” at the Inkspot Blog, you ought to check it out. It’s great advice for all of us. Inkspot, by the way, is the official blog for authors published by Midnight Ink. 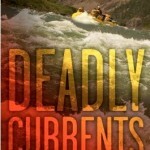 And while we’re on the subject, I just finished reading Deadly Currents, the first book in Beth’s new Mandy Tanner (whitewater river ranger) series. I enjoyed this mystery from beginning to end. Not only did I get a quick lesson in whitewater rafting, ranger duties, and life saving techniques, but also a thrilling ride during the fast-paced action scenes. Highly recommended. I spent yesterday afternoon and will spend all day today reading and fixing, reading and fixing. I’m pleased with the results so far. I hope to be done on Friday. My sigh of relief will be audible to all when I finish. Foodie Road Show — I knew Angela back in Indiana when she was a little tyke the same age as my youngest son. Now she’s a Coloradoan like me, only she cooks (and gardens and takes stunning photos, etc. etc.). Epicurean Vegan — I’m not a vegan myself, but I do like to eat as healthy as my cravings allow. Even my chocolate stash is the good-for-you dark stuff. April is the blogger who posts at Epicurean Vegan, but she’s also a writer and belongs to my critique group. Mystery Lovers Kitchen — Who wouldn’t love a blog that posts recipes like Fresh Baked Doughnut Muffins and Apple Custard Cake? 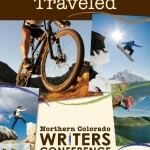 The contributors to this blog are cozy mystery writers who write about (what else) food…or coffee. One of the contributors is Elizabeth Spann Craig aka Riley Adams whose first two Memphis barbecue books arrived in my last amazon.com box. Dying for Chocolate from chocoholic Janet Rudolph. I mean, really, do I have to explain why I love this one? Wednesday Potpourri: What’s New and What’s Coming? Best of luck wrapping up your revisions by Friday. It gets down to hard work, rooting out all the last-minute nits. Congrats on the progress, Patricia! Here’s to Friday! Thanks, Yvonne. I appreciate your visits and comments. Alex — Yeah, food. Yum! I’ll be back tomorrow! And I just like food. Any kind. Not picky! Margot, The only problem with revising is when you think you’re almost done, you decide to make another change. It’s sort of a neverending story. Pat – I’m looking forward to Joan Reeves’ visit. I think our tastes really do change as we mature and I’m looking forward to her thoughts on that. And I’m so happy for you that you’re nearly done revising. It’s such a great feeling, isn’t it? I’ll have to try out some of those foodie blogs. I’m already a fan of Mystery Lovers’ Kitchen and Dying for Chocolate – time to check the others out.